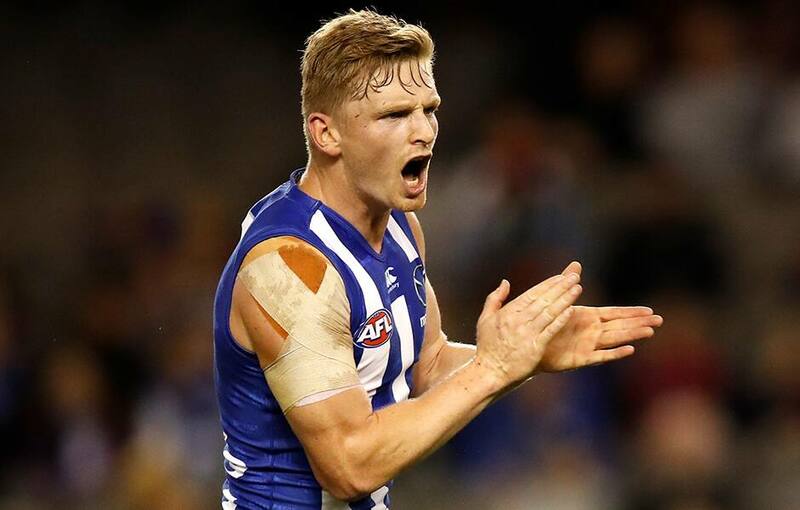 Good Friday returns this week when North Melbourne take on Essendon in the annual Kick for the Kids match. Tickets are selling fast so book now to avoid missing out. $5 from every adult ticket and $10 from every family ticket is donated directly to the Appeal. You can purchase tickets online HERE or by calling 136 100. Kids come FREE!. More info here. $5 from every adult ticket and $10 from every family ticket purchased is donated directly to the Appeal. Plan ahead - Visit ptv.vic.gov.au to plan your journey and check details of disruptions prior to each match, as disruptions may change from match to match. Arrive at the match early and check out the Good Friday Purple Zone located at Gate 7. Visit the Wharf Hotel before or after our Marvel Stadium games, located only a short 10 minute walk from the ground. Those who download the Wharf Hotel app will receive a $10 credit to spend, 15% discount and other great rewards. There will be FREE face painting available pre game. Members who are yet to receive their membership card can access the ground digitally. You can find out more information by clicking here. Members with access to the Premiership Room will be able to collect their cap or scarf in the Premiership room. Visit the front desk with your membership card ready. Members with access to the Barry Cable Social Club will be able to collect their cap or scarf in the Social Club room. Visit the front desks with your membership card ready. 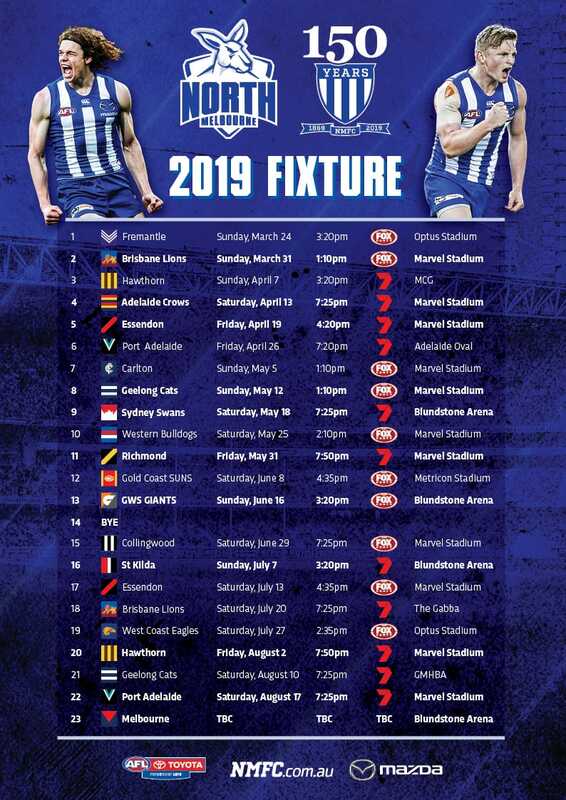 North Melbourne members can bring a friend for FREE to any of our home matches at Marvel Stadium including the Good Friday match. For more information, click here. Tickets are available for this match from just $15. The Roo Shop will be set up outside Gate 5 at the North Melbourne Club Hub and open inside Gate 5 and Gate 7 from 2.30pm.